My wardrobe is mainly high street clothes and accessories although I do love a bit of luxury including designer bags and stunning precious gold and platinum jewellery. If I had the money I admit I would be a real label junkie. As I said I love luxury but I don't like to waste my hard earned cash so I am a smart buyer. I look for online auction site bargains, and I always check out the charity shops if I am in an affluent area, as you never know what exciting bargains you will find. There are also companies online that sell pre-owned and second-hand highly desirable items with finance options available so you can spread the cost. One such company is Xupes. Xupes sell a range of luxury goods from beautiful fine art and rare antiques, precious diamond jewellery and vintage watches to designer branded bags from the likes of Chanel, Hermes, and Louis Vuitton. I'm afraid my husband has designer tastes too. In fact, he has no problems spending his money on quality, luxurious well-made items that he wants. Of course we don't have a bottomless pit of money, I wish we did, and he always lives in hope of winning the lottery, so until then here is my designer wish list from Xupes. 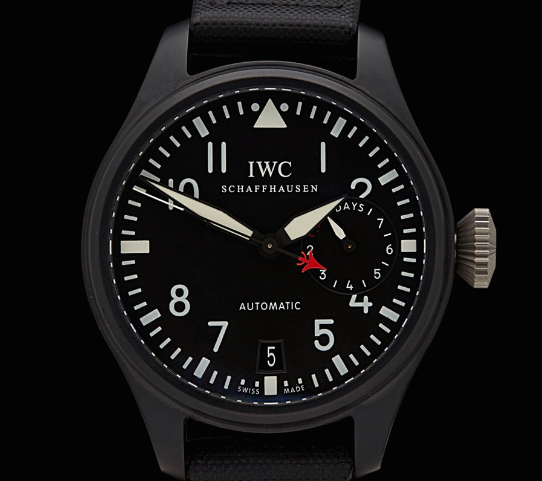 Firstly, I'd pick this gorgeous ceramic IWC watch for the husband. This 'Top Gun' pilot watch would be a perfect gift for my him as he is learning to fly. This pre-owned watch in excellent condition is priced at £9795, a big saving on the RRP of £13,900. 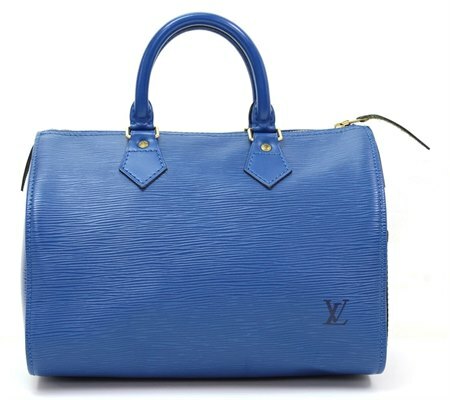 I love the vibrant blue of this Louis Vuitton Speedy 25 pre-owned luxury bag. Made from blue leather with a gold-coloured zip, this bag is priced at £599. A snip at the price and perfect on the arm of any self-respecting fashionista. 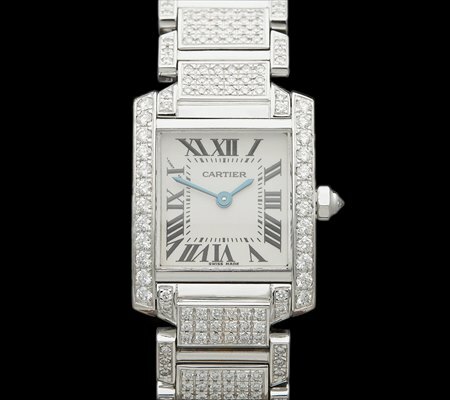 This Cartier Tank Francaise watch in 18ct white gold is in excellent condition, complete with box. Very pretty this gorgeous watch is set with small diamonds and is priced at £13,995. I would love to put this on my Christmas list! 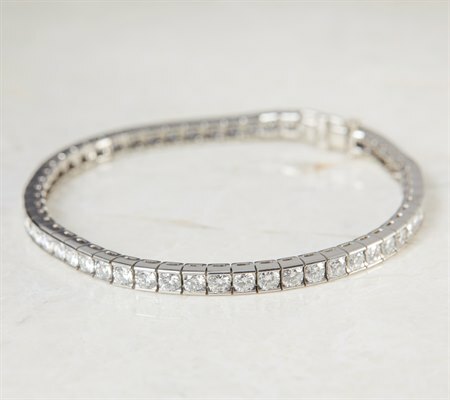 This beautiful classic tennis bracelet has 58 round brilliant cut diamonds mounted in pure rare platinum. A classic design and an investment. Priced at £6995 this 7.54ct bracelet is a real bargain. This final piece really is the most exquisite piece of jewellery. 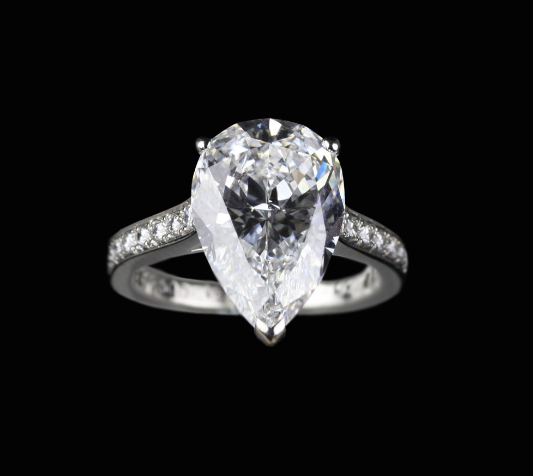 A Cartier pear shaped diamond ring of 3.77cts, with a colour grade of D and a quality that is internally flawless. Complete with a GIA certificate, you rarely see a diamond of this quality in your lifetime, and from a designer brand too. Oh, and the price? £425,000. So this is my designer wish list. What would you put on your wish list if money was no object? I know Sarah-Louise it is stunning! Ooooh my goodness. The handbag is now on MY designer wishlist. That thing is seriously gorgeous. I would so love a tennis bracelet. That tennis bracelet is really pretty! These are all really gorgeous picks for your wishlist. First of all I would want to go shopping with you because we clearly have the same items on our wish lists!Honestly I'd love a really high end non leather handbag! It is definitely fun (and healthy!) to dream, and I prefer to dream big. Anything Cartier is always welcome in my life. You definitely have good taste. I think the Cartier Tank Francaise watch would be my top pick of all of these! That watch is THE most beautiful thing I have seen in a long time. I'd probably buy myself some designer shoes if money was no object. Enough to fill my entire closet. Though, handbags would be fun too! Diamond ring please! Oh, you have a great taste in fashion, I love all your picks! If I had the money, I would want all of them. lol. Especially the rings, it is so gorgeous. I need to see your handbag collection I think! The bag is really pretty! I also would like to add it to my wishlist. These would all be so very nice. They say if you write it down it's more likely to happen! These are all great pieces. I would love the ring and the Louis Vuitton bag. I will have to add them to my wish list. My designer wish list would include just travel options to be honest. I want to go all over the world and stay at the finest resorts and hotels! So do I but I would like some nice jewellery and accessories to take with me! Great items here. I love that LV bag so much.